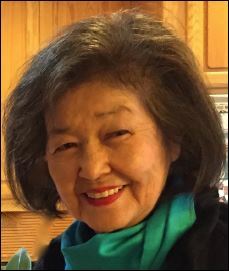 Marlene Okada has been a member of the AASGuild since 1992 when she was invited to join by Misako Togo, the wife of the President of Toyota, Yukiyasu Togo. She had been president of the Guild several times and was on the AASA board. She has co-chaired Bravo Awards Banquets and helped publish the history of the AASA & Guild celebrating 50 years in 2011. Actively helping at the Peninsula schools, she bridged the needs of foreign families by being on commitees for Multi-cultural Outreach. Marlene with friend, Kiyoko Ohtomo, who was born in Japan, offered hotline help for Japan families with language needs. With her teaching credential, she tutored in English as a Second Language to both students and parents. Marlene was a founding trustee for the Peninsula Education Foundation in 1979, and requested Japanese corporations to support the public schools. She served on the Hospital Foundation board at Little Company of Mary where her husabnd was an Obstetrics and Gynecology physician. Marlene worked as a medical technologist at Harbor General Hospital where she met her future husband. She helped her family as a realtor and continues this occupation today. She has supported fundraising in various charitable organizations, including the AASA & Guild, Little Company of Mary Hospital, the Dames, Medical Auxiliaries, Japanese American National Museum, Keiro Retirement Home, both the South bay and Los Angeles communities and church outreach. The Okadas support the vision which David Benoit has brought to enrich our community with music, especially for the Youth and feel blessed having three grandchildren enjoying community activies. For many years Marlene has been dedicated to an annual Holiday Boutique Benefit held at the home of Carolyn and Julian Elliott to support concerts and youth programs. The first event shared at this magnificent estates was in 1994 and continues to this year, 2017.